Comprised of large perforated stainless steel spools and partial spools which had been used in the textile industry. 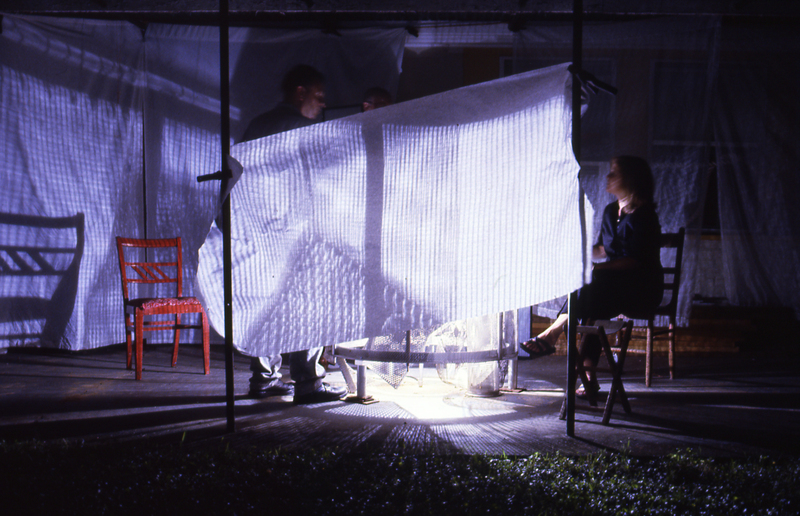 Light sources are contained within the spools, superimposing light and shadow onto their environment. 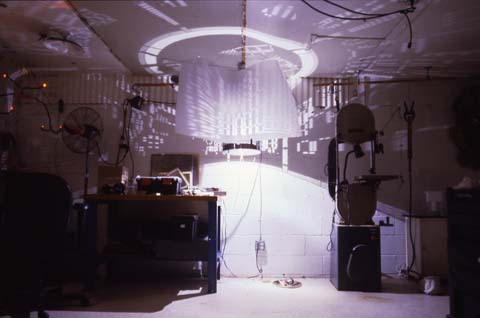 Light source within a rotating cylinder comprised of stainless steel etching plates for circuit boards, suspended from the ceiling, projecting the shadow of the circuit boards on its surroundings. 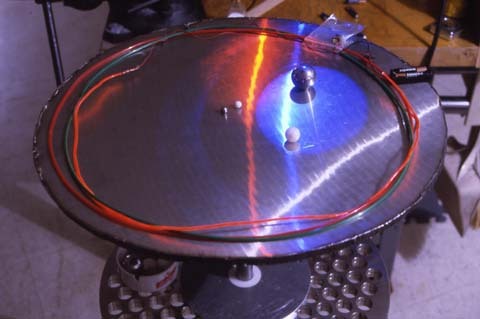 a slightly concave stainless steel plate, upon which rotating balls interact with each other through centrifugal force and gravity, with two light sources of different colors striking the highly reflective concave plate and projecting the mixing of the two colors onto the ceiling. 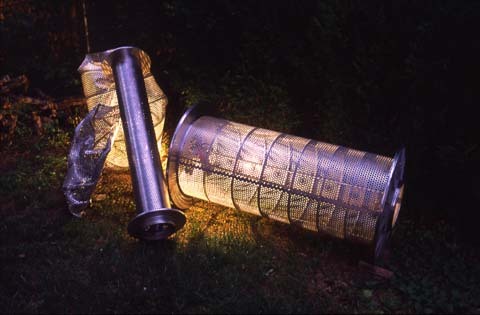 Light source surrounded by several layers of screening and perforated cylinders which can be rotated independently in either direction, projecting patterns of light and shadow onto its environment. Copyright© 2004 Kit Kube. All rights reserved.